Attention all bird lovers, we know you often find shortage of items, which perfectly reflects your interests and stirs interests in other people towards your cause. 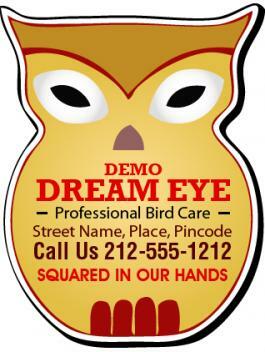 You can now heave sigh of relief by investing in this customized 2.12 x 2.81 owl shaped bird care full color magnet – 20 MIL. 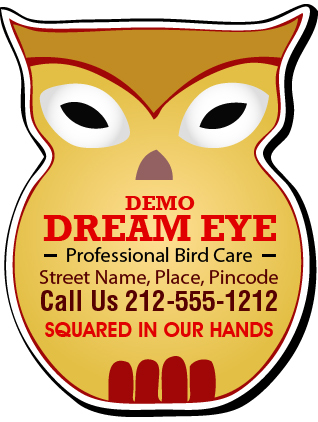 This full color magnet is sure to grab eyeballs with its typical shape reminding of an owl, thus your brand information gets highlighted in the disguise. Attractive price benefits can be availed by bulk ordering it from us. Request a quote to know discounts that you can expect to make on bulk orders of this promotional 2.12 x 2.81 owl shaped bird care full color magnet – 20 MIL. Product Size : 2.12 in. x 2.81 in.